Hip hip hoorah! 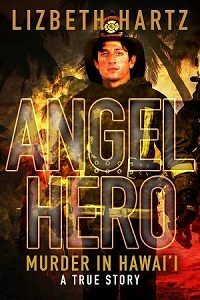 My first book, Angel Hero, a true crime and love memoir, goes live today on Amazon. Special thanks to my publisher, Mighty Quill Press, a private label publishing company that made my dream of finding a publisher come true. This small press looks for authors with fresh, engaging voices making the transition from shorter works to books. In real life, I had to confront terror before I could reclaim my squelched voice. In my book, however, I learned how to tell it my way just by showing up at the page and editing, re-editing, and editing some more. Although at times I still have difficulty speaking up for myself, I now wax eloquent on the page. A terrific writing teacher, Janet Lorimer, told me decades ago, “No matter what you’re going through, remember there’s a story in this somewhere.” If some #$*@ gives you grief, why not make him the villain in a story and make sure he gets what he deserves? Better yet, withdraw your energy from the jerk and focus it on something important. Like your writing. No matter what, keep writing. I think the important habit to cultivate is consistency; writing a little bit nearly every day. For the last 29 years, that’s what has worked for me. What works for you? Whatever it is, I hope you’ll share it with me, and we can jog along our writing roads together. This blog is dedicated to you, dear readers, and to my writers groups, family, friends, and other authors, in gratitude. To the many generous and positive people who have helped me arrive at this point in my life, you remain in my heart and prayers. I would not be stepping into this phase of my life the same way without your influence. Years ago, on TV, I watched Hillary Clinton saying it takes a village to raise a child. I think it takes the whole world to inform a writer. Lizbeth, I don’t need an inner critic. Editors and agents throughout the Western Hemisphere all tell me my writing’s lame. Congratulations on the book. Looks Great! LOL, Steve! I can always count on you to make me smile. As they say in Hawaii, “Only joke,” meaning “You’ve got to be kidding” because I know firsthand from taking your online writing classes that the writing of former career journalist and current novelist you is far from lame. And thanks so much for the congrats!